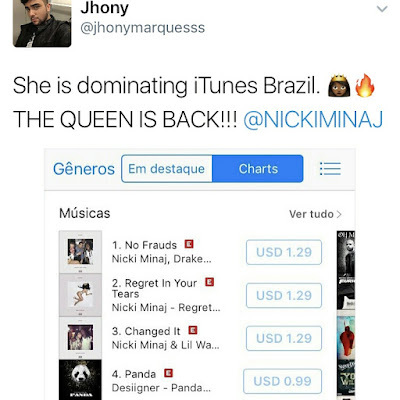 Nicki Minaj who just released her diss tracks is already topping the charts. 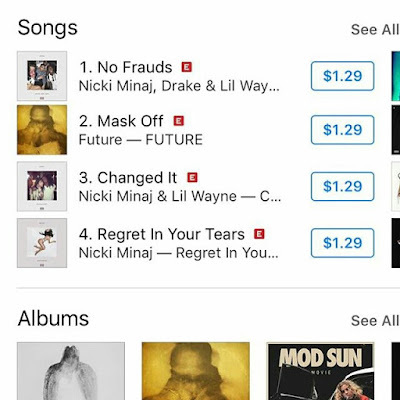 The rap queen who took swipes at Remy Ma in new diss tracks is already Nos 1, 3 and 4 on the charts. 0 Comment to "Nicki Minaj's new diss track already topping the charts"